The Serengeti Migration tends to be a massive draw for tourists from across the globe. 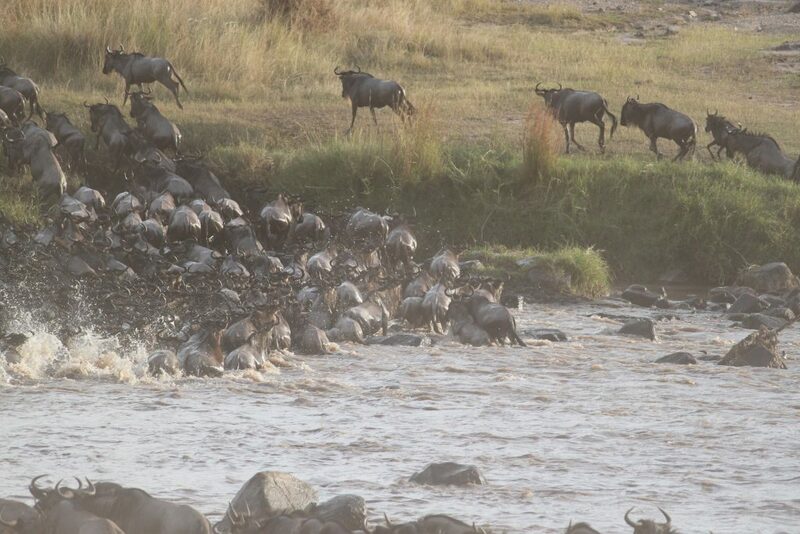 It sees upwards of 10 000 wildebeest at a time make a journey through the Serengeti. The most thrilling part of it is seeing the river crossings, on top of the very idea of seeing a form of civilisation and planning among animals. As beautiful as it is to watch, this is also a treacherous journey for some of the animals. The landscape is difficult to get through in the vast numbers that the animals travel in. The jungle is already a dangerous place to be in. 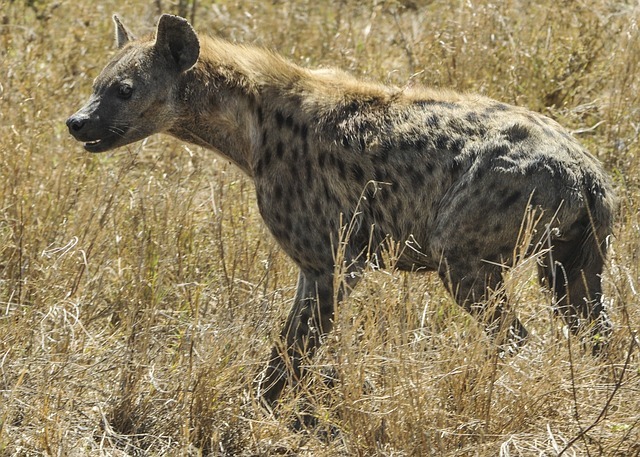 Any injuries sustained along the way increase the chances of falling prey to a predator or some scavenger. They also have to cross the crocodile-infested Mara River. That is difficult for a fully fit wildebeest. An injured one is at a much higher risk of being killed. Not to mention that there is no place for picking an injured companion up along the way. The main driver for animal migration is the rain. 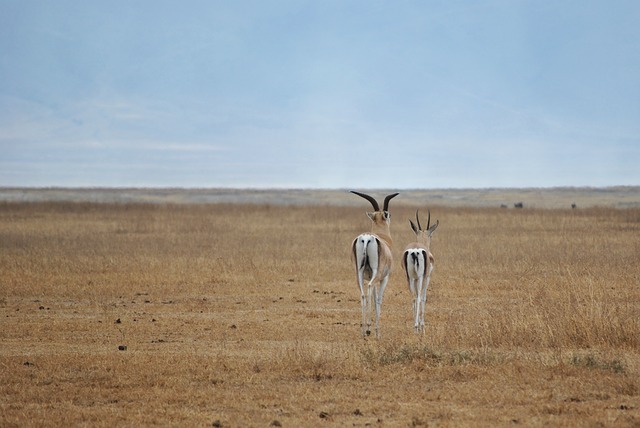 They migrate to areas that have received rain, which would provide better grasslands. This is the reason you will not find carnivores making this journey. They obviously benefit from the influx of prey in sight making the journey. 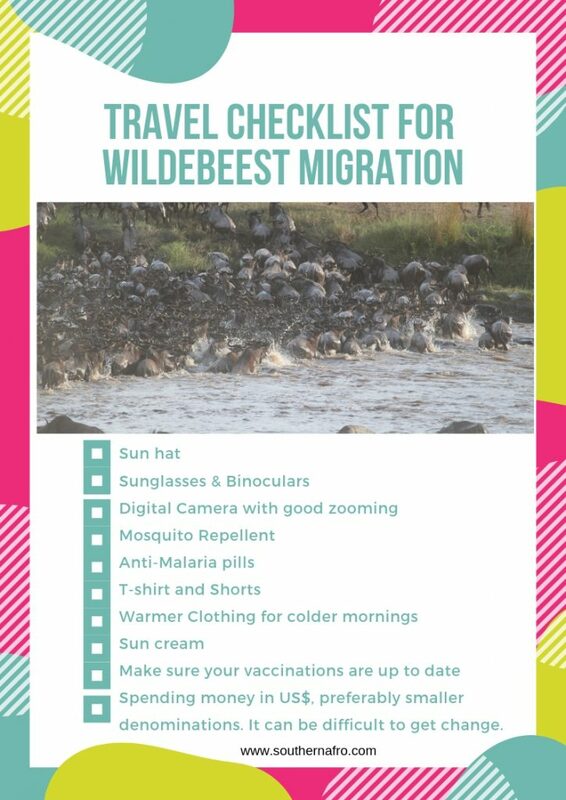 The migration starts in Tanzania around the Ngorongoro Conservation Area. 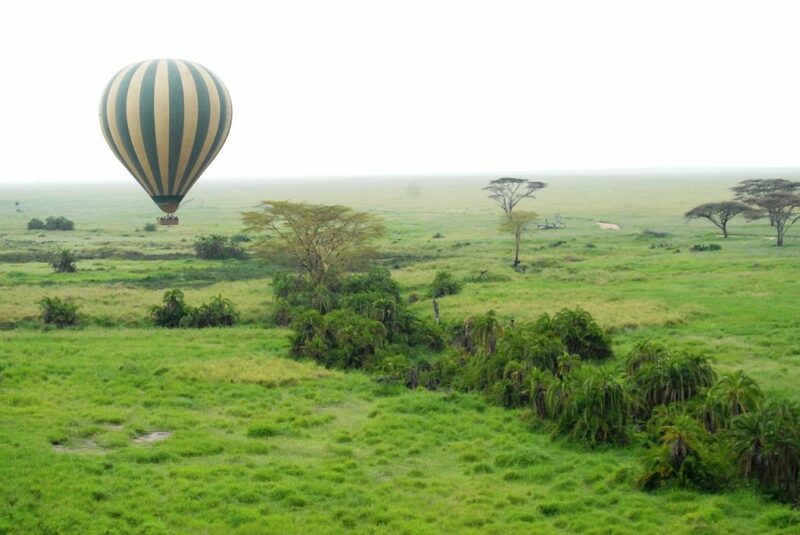 It takes a clockwise route across the vast Serengeti National Park. The finale is in Kenya’s Masai Mara reserve. To go on a bit of a tangent, the word Serengeti is descriptive of the land. It simply translates to ‘the land that goes on forever’. Imagine how these animals feel when they take this journey. Such is the beauty of the Serengeti that, it was the first place on the list of World Heritage sites drawn in 1972. They could not have chosen a better place. This is where nature still thrives, largely uninterrupted by human activities. Although the wildebeest make up the majority of the animals that migrate across the Serengeti. They are not the only animal that makes this journey. The entire journey is about 1200 miles long. That’s about a 6th of the distance between Cape Town, South Africa and Cairo, Egypt. About 1 and a half million wildebeests and 200 thousand zebras make this journey. This is journey is often referred to as one of ‘The Ten Wonders of The Natural World’. Anyone can see why. The majority of the migration takes place in Tanzania. Masai Mara in Kenya also plays a part in the latter stages. Spending money in US$, preferably smaller denominations. It can be difficult to get change. This is usually the period in which new offspring is about to arrive. There is a great rush to find new grasslands in anticipation of new life. This is a great time to witness new life being brought into the world. There is little or no movement once the offsprings have arrived. The animals protect them and wait for them to grow before they can start moving again. The rains will have started coming, so it is pretty wet. There is plenty of beautiful grass to go around. This is great, as the herds will have grown with the addition of new offspring. It’s a feasting season for predators. The animals are less mobile, making them easier to track and attack. The new offspring are not yet ready to run away from lions, leopards and hyenas. The rain means that there will be fewer tourists around. This is a great time to visit. Timing your travel is essential. Aim to travel early mornings and during the day, and be settled before nightfall. It usually rains through the night. The new offsprings are becoming more independent. This is probably the least recommended time to travel. The rain is in full force. The roads are muddy, cars easily get stuck. The animals tend to be more mobile in this month, as the calves become stronger. There is even greater movement in June. The grass lands are greener. The rain would have stopped as well. The speed at which the animals are moving increasing. As it gets warmer the landscape becomes arider. There is less water to go around, so the animals move on to find better grazing lands and water sources. The Grumeti and Mara River crossing become more prevalent. The dry season is taking over. Air is more humid and very hot. Herds of wildebeest lead the pack as they travel further north in search of grazing lands. The area gets busier, as more tourists travel to witness the spectacle. This is the time of the year where people line up near the Mara River to witness crossings and battles with crocodiles. If you are interested in camping, September is a great time. The weather is dry. The best place to see the wildebeest at this time of the year is on the other side of the Mara. There will still be some crossings, but those are few. October is still deep in the dry season. You will find that most of the herds are still in Mara. They are settled here while some rain starts to trickle down. This is also the time that some herds are starting to cross the Mara heading back into the Serengeti. In November the hot weather is starting to give way to colder air. If you are tracking the herds, they will be in Serengeti at this time of the year. There is a lot of water, enough to go around. December welcome more rain the in Serengeti. There is further migration of the herd. This time instead of going North, they head South.